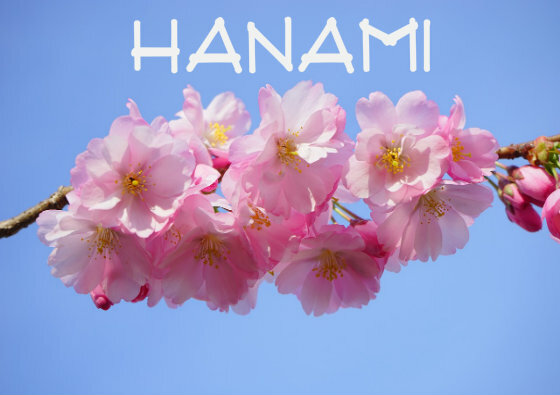 (P1) Hanami is the Japanese traditional custom of enjoying the beauty of flowers, especially cherry blossoms. The practice of Hanami is more than a thousand years old and is still very popular in Japan today. It takes place in the spring, usually from March to April, because the blossoms only last for a week or two. (P2) Hanami is very popular among Japanese people of all ages. Thousands of people fill the parks to eat and drink under the flowering trees. The parties commence around lunch time and sometimes these parties go on until late at night. In more than half of Japan, the cherry blossoming days come at the same time of the beginning of school and work, and so welcoming parties are often held under the cherry blossom. (P3) Usually, people go to the parks many hours before the party to reserve the best places to sit. Some people even stay overnight to save a space for the next afternoon. There is sometimes a lot of drinking and karaoke at Hanami, but many people just unwind with their family, friends, and co-workers. Hanami is a great way to enjoy the beauty that comes for only a short time each year. Describe a traditional custom in your country? Do you like the beauty of flowers? Why or why not? Why do you think some traditional customs have been around for thousands of years? Which flower is principally appreciated during Hanami? What do the people do beneath the trees during Hanami?